Glow use our design teams experience to offer bespoke inflatables buildings that can meet the requirements for any concept or idea, any size, any colour to add that real wow factor and excitement to your events. Custom Inflatable Structures are perfect for differentiating your brand from the competition which is ideal in exhibition environments when up against other brands. We can take your initial idea and concept and design to make sure that your giant inflatable structure or custom inflatable tunnel is an inflatable that stands out from the crowd. 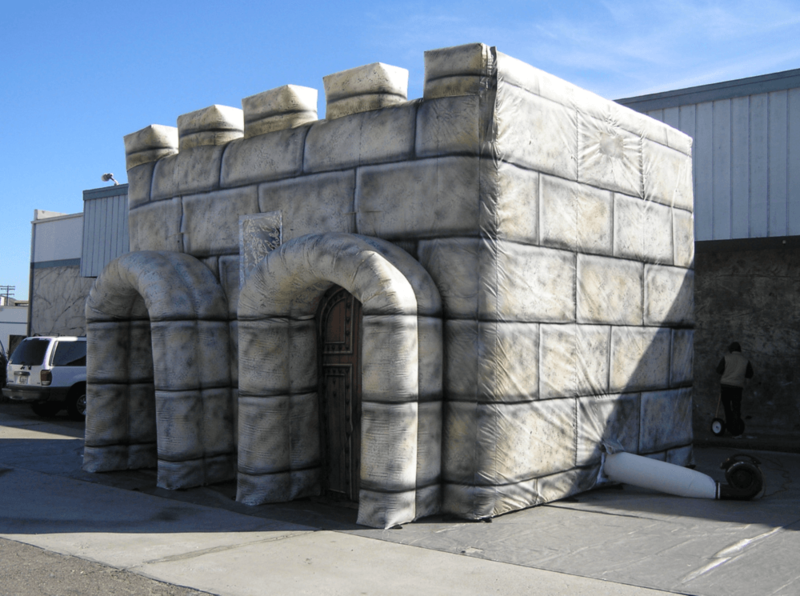 A custom inflatable building can be the perfect way to bring attention to your brand or campaign at an event. Glow can create anything that you can imagine, am Inflatable product or Inflatable animal can be transformed into an Inflatable building. We can add a complex digital print to your inflatable structure or create an Inflatable sculptural piece that is fully illuminated. the options are endless. Our team at Glow Inflatables can talk through your ideas and design an Inflatable Building for you that stuns spectators.